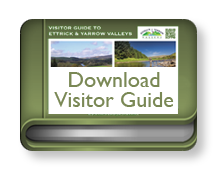 The Ettrick and Yarrow Valleys boast arguably some of the best and varied fishing in Scotland, if not the UK. The Tweed tributaries of the Ettrick and Yarrow rivers converge at a confluence known as the Meetings Pool, about one and a half miles upstream of the delightful Borders town of Selkirk. Both rivers offer a great opportunity for anglers of all ages and stages. The Ettrick Water has 12 miles of mainly double bank fishing with 80 named pools. The water is easily covered from the banks and the whole river presents excellent opportunities for fly fishing. The Yarrow Water starts from St Mary's Loch and provides both single and double bank fishing with 21 named pools. It has a constant depth of water and is well suited to the fly. The area offers a beautiful setting for the sport with a range of accommodation available. River fishing for wild brown trout is available on the Ettrick and Yarrow rivers from April to September. Salmon fishing on the Ettrick is available from February to November, and visitors can hunt the elusive rainbow trout on the Lindean Reservoir from April to October. The rivers and lochs are governed by a range of different groups who provide permits for the various locations. Details on beats, permits and prices are available on the website links here. Borders Fishing provides general information about fishing in the Scottish Borders. More specific information about fishing on the Ettrick and Yarrow rivers can be found through Selkirk and District Angling Association or Fishpal which has detailed information about the Middle Ettrick. There is also fishing through St Mary's Angling Club at St Mary's Loch and at Lindean Reservoir.